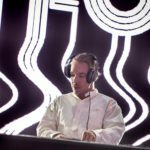 The notion of a joint studio output between the precocious bass music savant and the influential glitch hop producer seems like an entry in the dream journal of a fan from one of the two artists’ cult followings. Indeed, such a collaboration would assume the role of a second generation Pretty Lights/Bassnectar studio partnership fantasy. If any production has gone underway in the days since the exchange, it would certainly be in its nascent stage. And, of course, there is the very real possibility that GRiZ merely reached out to REZZ for a second opinion on one of his tracks from a trained ear. Suffice it to say, however, should such a collaboration come into fruition, it would undoubtedly become one of this year’s biggest releases in the dance music realm. For now, only time will tell whether or not “GREZZ” will materialize in the near future.